(630) 455-1200 | REQUEST A QUOTE! Our dedication to finding the perfect nutritional balance for your soil allows us to give the highest-quality service for those who truly want the best for their lawn. Enjoy a new comfort of living with a completely pest-free home, and keep your lawn safe from damaging grubs with our prevention program. Our core values have led to our becoming a better option for the customer who’s looking for quality service with a quality product. 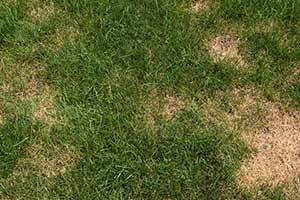 We don’t believe that lawns should be blanketed in chemicals. It creates plants that are resistant to treatment and dependent on chemical-rich fertilizers. We want to give the customer a better, more responsible choice. A quality product that stands above the rest, backed by knowledgeable sources who care about the work they’re doing. The best way to a luxurious, healthy lawn is through an abundance of nutrition. Period. We’re proud of our product, we’re proud of our work, and we’re proud of your lawn. As we’ve said, our organic-based custom fertilizer is designed to give new life to the soil and boost the health of your grass and plants in a way that no other fertilizer will. People usually hear the word “organic” and think of a mild treatment. But that’s the opposite of what we do. We opt for an aggressive feeding of the turf – an abundance of quantity and quality. It’s this method that has helped us create the most beautiful lawns in the area, and the reason our customers retain our services year after year. 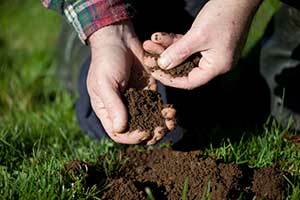 We run diagnostics tests on your soil to determine why your grass isn’t growing properly, then provide these services to bring your lawn back to abundant health.